Just as plants are reproduced to be like the parent stock, so are our little ones. Modeling money matters responsibly leads our children to success through our good habits. My daughter is one of those children who one might describe as "fashion forward". I shouldn&apos;t be surprised by her consisted and increasingly creative wardrobe combinations, but I am. She will come up with all sorts or color combinations never thought of. She will layer clothing in unusual ways (why wouldn&apos;t people wear tanks over sweaters?). I never know what she might use as a hair accessory. There are no rules on what shoes should go with what outfit or for what occasion. After having a year of Kindergarten forced to wear uniforms, she wore her Dorothy costume for her first day of Homeschool. She has rocked a yarn wig and tiara in public on non-Halloween related occasions. Let me tell you how awesome all this really is. I have read all the parenting tips to let your child express their creativity. I have understood how important creativity is for children and adults. I have pushed down the shocked looks that try to appear on my face and suppressed comments or desires to bring my daughter out to dinner in more normal looking attire. I have shrugged off comments about her interesting choice of clothing from others. I have however recently started to appreciate and even attempt to celebrate her complete uniqueness. My daughter is approaching ten years old. The changes are coming fast and don&apos;t think I am unaware. There are already boy-crazy girls her age and brand-focused children in her peer group. She, however, not only maintains her incredible creativity (she writes, draws, creates, and performs like nobody else), but she has an incredible self-identity. She could care less if someone doesn&apos;t approve of what she wears or looks at her funny. She is proud of whatever she looks like or however silly (I mean when she acts goofy on purpose) she wants to be. She is the most generous, unselfish, compassionate and confident girl of any age I may have ever met. I don&apos;t just say that because she is my daughter, really. Ask anyone who knows her. What does this mean for her future? I firmly believe it gives her a fighting chance against peer pressure, conformity, and poor self esteem. Sure, there is a whole world hoping against her. I just want to make sure I am on her side, not the world&apos;s. That means smiling when she made some wild hand motions and dance movements up to the songs in church last Sunday, rather calming her motions in case they were distracting to others (I am sure they were a little but we are singing, not listening to a preacher). This even means I really need to push myself to be more like her, showing her that being an adult doesn&apos;t mean you can&apos;t be a little silly, different, or confident. This probably means the next time she does my hair- I will be rocking it in public as well. So if you see a fellow mom with the confidence to go out with bows in her hair or see a child wearing chaps and cowboy boots to the grocery store (that would be my son who though more conservative than my daughter, is greatly influenced by her), don&apos;t judge or snicker or look shocked. Give a smile and think: here is one less child who may escape the horrific things that peer pressure and low self-esteem brings. One child who may fight against suicide, drugs, sexual pressures and just overall conformity. Maybe that one child will change the world. Update and addition to "Homemade Christmas"
Tonight is the "Packing Party" at my church for Operation Christmas Child (http://www.samaritanspurse.org/what-we-do/operation-christmas-child/), which is something we have been contributing to since my two youngest were babies. It's a fantastic program that helps my kids participate in the spirit of giving to others. I recently read a blog post while I was researching doll-making techniques for Austin that talked about giving each child "something to love" (http://dollydonations.blogspot.com/2013/10/free-small-doll-sewing-pattern-for.html). It inspired me since I already was in the midst of "elfing" (as my husband called it) and sewing/crafting my heart out. 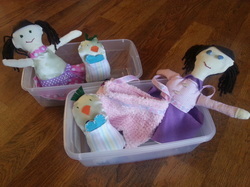 I made 2 dolls, a purse to put each in (one for each of the "girl" boxes that my daughter and I will pack) and these cute love birds I found (http://www.allcrafts.net/crochetsewingcrafts.htm?url=mollychicken.blogs.com/my_weblog/2009/02/4th-attempt.html) to put in the "boy" boxes that my sons will pack. My youngest daughter and son are obsessed with them. They are begging for me to make them one, thus confirming my theory that handmade gifts will go over quite well. They were having a hard time giving them away until I explained how the children that would receive them were likely to have never received a toy or gift, ever. That quickly changed their spirit of giving, but didn't put to rest the desire to have one of these of their own. I have also found that just the act of using my creativity, while putting love into each handmade item, has been quite a fulfilling task. It hasn't always been relaxing, but absolutely satisfying. One doll initially got scrapped, as you can imagine when trying to figure out this doll without a pattern (yes, I like winging it sometimes). Yet, my daughter is carrying around this doll with no legs (I cut the off to use on a doll try #2) and a hand-drawn face (because I wouldn't embroider a face on a doll that needed to go in the trash) despite my promises to make her one of her own. I am not the best person at sewing nor that particularly skilled at other things, but a little research online and following ideas and steps suggested, have resulted in some great projects. I hope you are inspired to give some homemade love as well. I think you will find that the giver (you) and the receiver will be much more inspired/touched than a store-bought gift will offer. I definitely have normal kids that LOVE to get new toys, electronics, stuffed animals, dolls, or anything else a kid would love to get. However, they love a box, empty paper towel roll and bubble wrap almost equally. I absolutely plan on giving my kids a great Christmas with as many items that I can purchase from their wish list that the spending budget will allow (we set an amount for each child). However, I decided this year to also give a little homemade love. My kids often ask me to make them stuff anyhow but it's often hard to find the time. I hope for them to be able to appreciate the time someone spent on a present as much as the present itself. I want them to know they can feel as special or more special by having a gift made from love (not just on gifts that we used our money to buy). I hope they can realize it's not just about brands, packaging and marketing...great gifts can be other things. I want them to realize Christmas is more about thinking about and caring for others. It sounded like a good idea but really wasn't sure where to start so I sought out some Pinterest inspiration. For my doll obsessed daughter, she is getting a doll bed and accessories (pillow, blanket, etc). I already started on it and it's turning out cute. I am fair with the tools, not a carpenter by any means but I found some easy ideas that required minimal carpentry for maximum results. I may make some more items later, but this was a good start. She also wants a GOOD hula hoop because the store ones just don't cut it. I heard homemade ones are better. My rough and tumble son likes all things cars, dinosaurs, and masculine, but he also plays all the time with his sister. He loves to cuddle and loves his "loves" (stuffed animals) obsessively. There is one toy he asks for but never puts on his wish list for fear of having to give up a boy toy he wants. He wants a boy doll so he can play with his sister. I decided to make him one and some boy accessories (diapers, clothes, etc). I am just working on its hair and accessories now. My biggest struggle is my teen. He is a thirteen boy that has NEVER been easy to shop for. He likes music, outdoors and electronics. He has never cared much for toys (even when he was the only child with every toy he wanted before we thought about the dangers of spoiling a child). I was thinking maybe a drum stick case holder, and I may still do that. However, I think I found something he actually might play with and enjoy...juggling sticks (also called devil sticks, but I think we will stick to calling them juggling sticks, thanks). He may have to watch a few YouTube videos before being able to use them but he is fascinated with juggling and tricks so I think it will work. I will keep you updated on how it all comes out and is received. Let me know if you have other ideas to experiences to share regarding the homemade gifts. 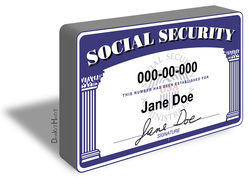 STOP CARRYING YOUR SOCIAL SECURITY CARDS AROUND!!! I have heard the argument a dozen times that people (Dr. offices, etc) always ask for it so you feel that it's necessary to carry it. I haven't carried around any Social Security Cards in well over 10 years. I keep them locked up in a fireproof box and only take it out if I have been specifically required to bring it somewhere. The only times that this has been required is applying for a passport, starting a job, or enrolling a child in school. I have been told in other instances that it might be necessary for me to provide it, but if it is, they will have me bring it in later. I don't know my children's number and when the doctor office asks for it, I tell them I don't know it or carry it. They have always told me that it helps process insurance faster but isn't required. If they run into any trouble, they will call back to get it. I have never had a problem or even had them call me for it. When I supply my own number, I watch the employee to see how they handle that paperwork and have once asked a receptionist at a doctor's office to please take my paperwork off the counter since all my information was exposed to patients coming and going. That number equals your identity, your credit and potentially money. Identity theft is a hard crime to stop and pays highly for the criminals . Worst of all, it often has less risk of being caught than many other crimes. Stealing, using, and even selling Social Security Cards is a big "business". Children are often targeted too because they haven't ruined their credit yet and nobody else is going to use it for many years so no one will catch if credit cards are being opened in their name. If you lose it or it get's stolen, it is a nightmare to change to a new number and repair damage done. This is an excellent related article on the subject I found and thought I would share. For the parents who always seem confused or unsure about what is appropriate to spare or share regarding finances, here is list of Do’s and Don’ts to apply to your daily conversations with your children. It’s amazing how much kids learn from you in just one conversation. · Do create realistic expectations of the cost of living. I once read an article that teenagers generally surveyed grossly overestimated future income and underestimated the cost of living. This will really cause problems now and in the future. · Help kids understand that there is no magical ATM machine with an endless supply of money. It comes from you putting it in the bank after you work hard for it and just because you have the money in there, doesn’t mean you should spend it all either. · Help them understand that you sometimes have to give up one thing for something else. You don’t have to explain every “no”, but at least explain some. Example: If you are about to go on vacation, explain that you want to save for the trip instead of a very short moment of happiness. This will help them learn that responsible adults don’t spend money on every whim. 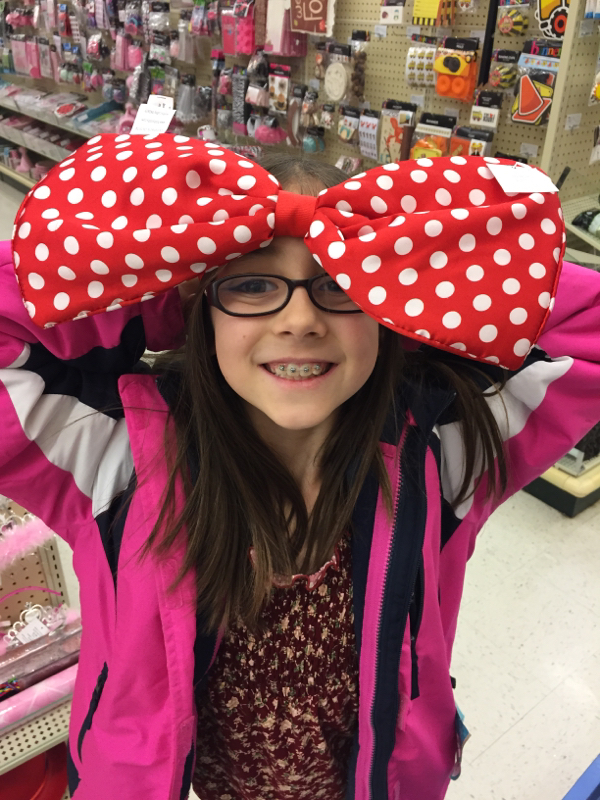 · Teach them comparison shopping. Help them see that you might try several different car dealers for the car you decided you want until you get a really good deal and share how much you saved in doing so! Don’t forget the small items when you have a moment too. Ask them to help you find the best deal on grocery items. Often they will pick the cheapest, but help them also look at how much they are getting for the money (example: $1 for 5oz or $1.50 for 10oz – obviously 10oz is a much better deal to us, but they don’t often see that). · Teach them to care for what they have. · Share your responsible financial oriented goals. If you are working toward a house, car, or some other major purchase, allow them to know. You will make the connection that adults should create a goal, to work for it and sacrifice for it. · Make a tremendous effort to lead by example on contentment and thankfulness. · Create social awareness of poverty, etc. It not only helps them gain contentment in their circumstances but hopefully, it will create a desire to help people as well as caring more about people than goods. · Share God’s sovereignty over your wealth. · Don’t teach them to buy something JUST because it’s on sale or a good deal. Many “good deals” become expensive credit card bills with interest. · Don’t create insecurities about their well-being by telling them you have no money, you can’t buy food, or people are coming to take your house. · Don’t become too obsessive about sharing the cost of everything. Kids will tune out all advice if you do and it will probably lead to rebellion. · Don’t let your goals sound too envious or materialistic. Keep them realistic and grounded such as, “I would like to own a house.” Saying you want a mansion with a butler’s pantry or wishing that your house was more like your neighbors will not teach the right values. · Don’t just talk about poverty, etc. if you aren’t willing to lead by example and contribute at least a little. · Don’t teach that things are more important than people. If you have ever given into a tantrum over a toy or candy in the store, you probably have experienced some immediate temporary relief. However, you probably also realized that a "monster" is quickly created in this act because it worked once, they will keep trying to wear down your resolve in the hope you will give in even once out of 50 times. Taming this beast isn't an easy task either. It requires absolute consistency, tough love, determination and time. In fact, it usually takes far more time to fix it than it took to create this problem. I guess it would be best to address why giving in and buying the toy or candy isn't ideal for their growth and development, even if it is not affecting your pocketbook. One would like to think the child will grow out of this behavior, but surprisingly most of them just become more manipulative and the desires just get more expensive. The biggest problem however is the lack of control over their desires that develops and festers. Pardon me if you are someone who must buy yourself something every time you go to the store, but it's not a financially healthy behavior for you or your children. The inability to wait for something creates a constant need for immediate gratification, which usually leads to plenty of credit card debt in later life. It also creates a lack of appreciation for what they do have because they gain it so easily and typically are living with an overabundance of toys and goodies. It can actually cause a greater discontentment than those that have very little. This can create a lifetime habit of buying things for that immediate feeling of happiness, only to need something else almost immediately afterward because the feeling is so short-lived. The bottom line is, for obvious and not obvious reasons, this behavior needs to be dealt with. The good news is, it's never too late. The bad news it isn't going to be easy. However, just as David had his slingshot (small, simple and mighty) against the giant Goliath, I am arming you with a plan and a weapon. I will not let you slay this beast unarmed. I am giving you THE LIST! I warned you it was small, simple, and mighty. It is actually two different weapons, one for your little sprout and one for you. However, they will both be working for the same greater good. I rarely go anywhere for any shopping without a list. Once in a while, the list is in my head. Otherwise, it's in my phone or on paper. In fact, my daughter often helps me make the list because that child has a memory of everything we need or have run out of. 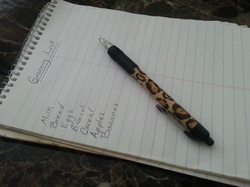 The obvious advantage of a list is not forgetting what you need. The less obvious advantages are that they help you budget, they help you control unnecessary spending, encourages waiting for wants, and they empower you to say, "NO". The simple rule of the shopping list is this: If it's not on the list you can't get it unless it's a true necessity that was accidentally forgotten (we are talking toilet paper and toothpaste people, not shoes). Note: If you break the rule, the list will give you no power over the monster. You must act as if you are legally bound to that list and cannot get something today that is not on the list. I just throw up my hands and act helpless saying, "I'm sorry I can't, we didn't put it on the list. We will just have to wait." My kids inevitably will see something that immediately tugs at their little heart strings and are convinced at the moment that they really want that colorful, shiny object. That's marketing for you, you can't escape it and kids don't have the control over their emotions to realize they are being played like a fiddle by some marketing executive that can make some of the dumbest toys seem spectacular. We have a trained simple response that is, "Put it on your list." This is a gift wish list. It can be a Christmas List, Birthday List or a general gift list. Our kids usually have generous birthdays and Christmases but they rarely get a toy that doesn't fall on these days. Occasionally, if they want something in the interim, we will discuss ways they can earn it, but most of the time they are quite content to add it to the wish list. I suggest not writing it down for your child or carrying the list around with you. If your child is quite young, have them draw a picture and then once they have done that, you can label it for later (so you will know what on earth you are supposed to buy). If you carry the list with you or take care of adding it to their list, you will take away a beautiful benefit of the list: the filter. The Filter is the process that occurs when the child escapes the store with all it's wonderful marketing and returns back to the real world. Without it in their immediate presence, it's less desirable. Plus, having to actually write something down and remember it decreases it even more. What is typically left is a much more scaled down list of the items they really truly desire and will appreciate. Even my darling daughter who remembers we are out of milk, peanut butter and dish soap will forget at least most of what captured her heart at the store. To get you started I have even included two different Printable Gift Wish Lists in the Tool Shed. One will allow your young children room to draw their items and the other gives writing space. Try to make it fun and exciting because when you are making changes like these, being positive is crucial to success. Click to find lists in the Tool Shed. Have you ever over-watered a plant? I had a poor cactus that died from the inside out. It rotted away into nothing because I didn't know how to take care of it when I was very young. Many plants surprisingly don't always thrive with daily watering. In fact many just need a really good hose-down once a week. Surprisingly, many parents are often doing something similar to their children. I would like to think most parents want the best for their kids. I would think if you are reading all this information, you certainly must. 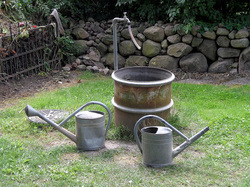 However, sometimes we can affect them the same way as over-watering plants affects the plants. We can think we are doing a good thing so maybe we do too much or don't give them enough room to learn. Then they can't flourish the way we would hope they would. One example is doing too much for them. Without any chores or responsibilities they are stunted in their ability to handle responsibility and gain unrealistic expectations for the future. The idea of supermom isn't helping out moms or their children. There is a reason we call it "spoiling" our children. We don't eat spoiled food, because it's not good anymore. We don't want to spoil our children in a way that it affects their future success in life. Former Credit Counselor, Stay at home mom, homeschooling mom, and continuing community finance educator.